Details: 3 BR, 2 BA Beachfront Residence with 1,260+/- s.f. 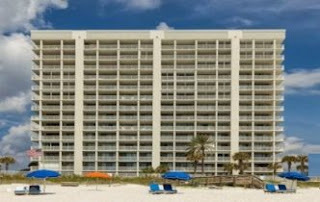 Orange Beach Alabama condominium home for sale at Pelican. Well-furnished beachfront residence with beautiful beach style furnishings, updated kitchen with granite countertops and tiled back-splash, updated baths with granite countertops, stylish large tile flooring throughout the living area and kitchen, wood flooring in all bedrooms, large smart TV in the living area and flat panel TVs in the bedrooms, and updated lighting fixtures throughout. The gulf front master suite also has been updated with new furniture. This move in/rent ready condominium home is ready for a new owner. Oversized wrap around balcony allows friends & family to enjoy the great views of the Gulf of Mexico, the white-sand beaches and the outdoor pools. Community amenities include indoor, outdoor and kiddie pools; hot tub, tennis court, exercise facility, pet walk station, grilling area, abundant parking and much more. Great Orange Beach location convenient to shopping, dinning and entertainment venues. Located on the Gulf of Mexico, Orange Beach a resort communities on the Alabama Gulf Coast boasting a subtropical climate, Orange Beach, Alabama lies in the southern subtropical area of North America, where mild temperatures greet visitors year-round. Gulf breezes temper the typically hot summer weather, and spring and fall days are warm with cool evenings.